The MegaSpin series of slots is about putting several “copies” of the same slot onto one screen. 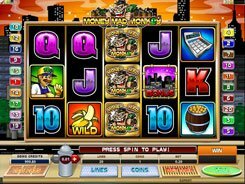 In this game, you can enjoy an all-time favorite Major Millions by playing six slots simultaneously. A coin value ranges from $0.1 to $1, with a single coin accepted per line. The number of win lines you would like to activate is also configurable. 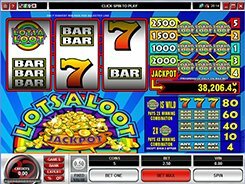 You are playing six slots on a screen, so enabling six paylines means you get one active payline for each slot. 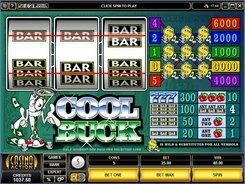 Twelve enabled paylines means you get two paylines for each slot. 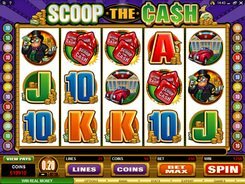 To have all paylines activated on each slot, you need to place 18 coins. 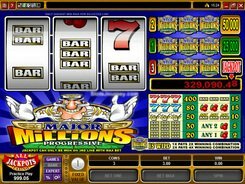 To be eligible for a progressive jackpot, you have to play at a maximum stake of $18 and hit three wild symbols on line #3. 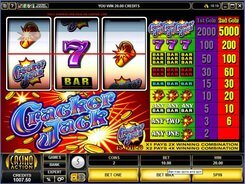 The jackpot has a starting value of $250,000, but the amount gradually accumulates and often reaches the million-dollar mark. Even if you do not grab the progressive, you still get a unique Vegas-style experience that is both fun and relaxing. PLAY FOR REAL MONEY!